Summary: If you have been injured or have developed an illness due to toxic exposure at workplace, you may be entitled to receive workers compensation benefits. Today, most workplaces have put enhanced safety practices into place, and have modern safety equipment that have reduced the number of worker injuries and illnesses caused by toxic exposure in the workplace. Toxic exposure can occur in any workplace, however, some industries that are more commonly associated with toxic exposure include the mining industry, manufacturing industry, and some other industries where dangerous substances are used. Workers in these industries can suffer injuries or developed diseases from toxic exposure by contact, inhalation or ingestion. While many exposures cause only minor irritation or temporary injuries, others can cause severe, and even fatal injuries. Some workers are left with permanent injuries, and have to struggle with their illness for the lifetime. Toxic exposure related illnesses can shorten the lifespan of the workers substantially. Worker training and education to protect workers from dangerous toxins in the workplace. The Hazard Communication Standard is intended to provide information to the workers about the hazards of workplace toxins. OSHA has designed permissible exposure limits (PELs) to protect workers from overexposure to dangerous substances. However, a large number of these PELs are outdated and need to be revised. In one such attempt PEL for silica has been revised. Also, with time, new toxins and dangerous chemicals are being introduced into the work environment and OSHA seems unable to keep up with this. Many of the harmful toxins are not even listed. 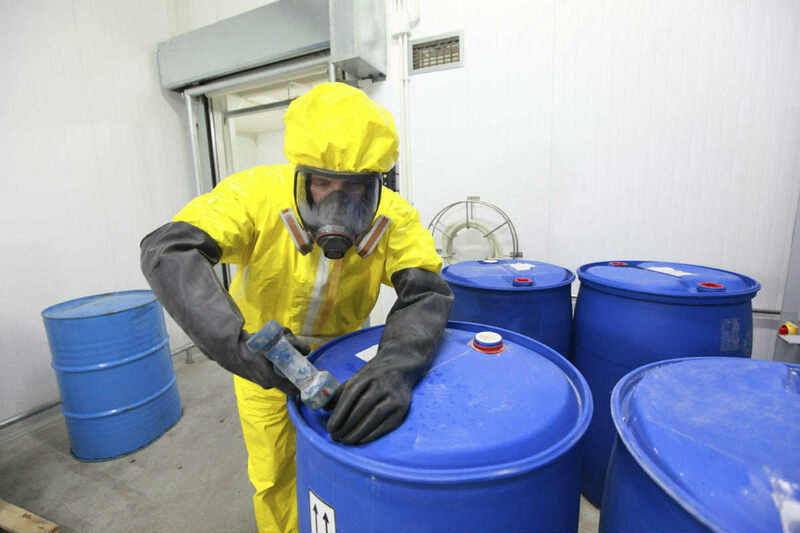 How to prove a workers compensation case involving toxic exposure? If you have been injured or have developed an illness due to toxic exposure at workplace, you may be entitled to receive workers compensation benefits. However, such claims may be complex, and it is best to seek help from a competent attorney with a proven track record of handling such claims. Injured on the job in Missouri? Call (314) 361-4300 today to schedule a free case evaluation with a highly experienced workers comp attorney at the Law Office of James M. Hoffmann!